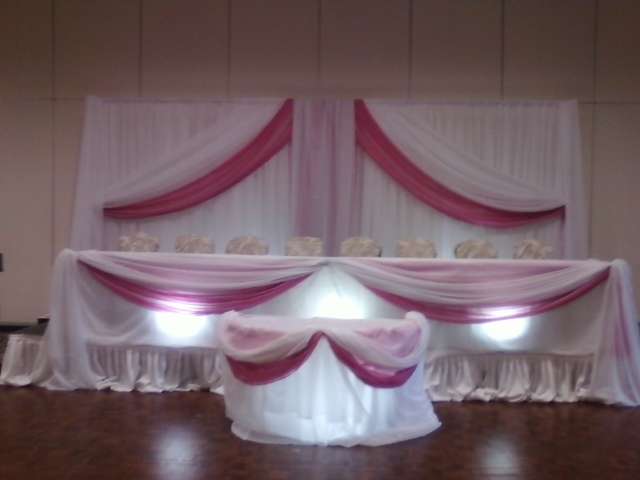 Our wonderful bride Cindy wanted to do a subtle pink in her backdrop and head table, so we did our regular draping but with an additional layer of white on top. 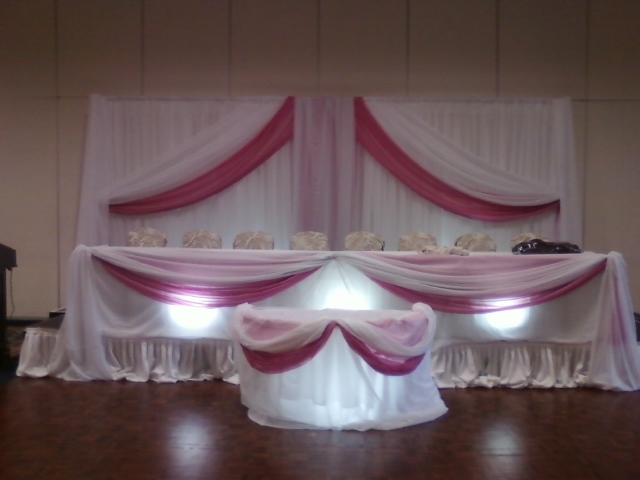 The second layer of white on top really toned the pink down which gave our bride the opportunity to bring her second accent color into the wedding decor but not stand out too much. 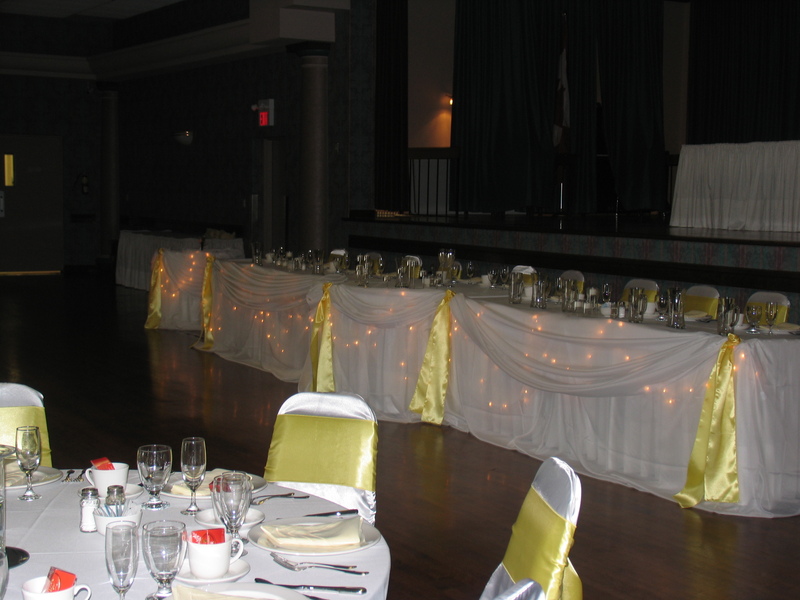 Here are some photo’s of Cheri’s yellow wedding – what a refreshing color!!! 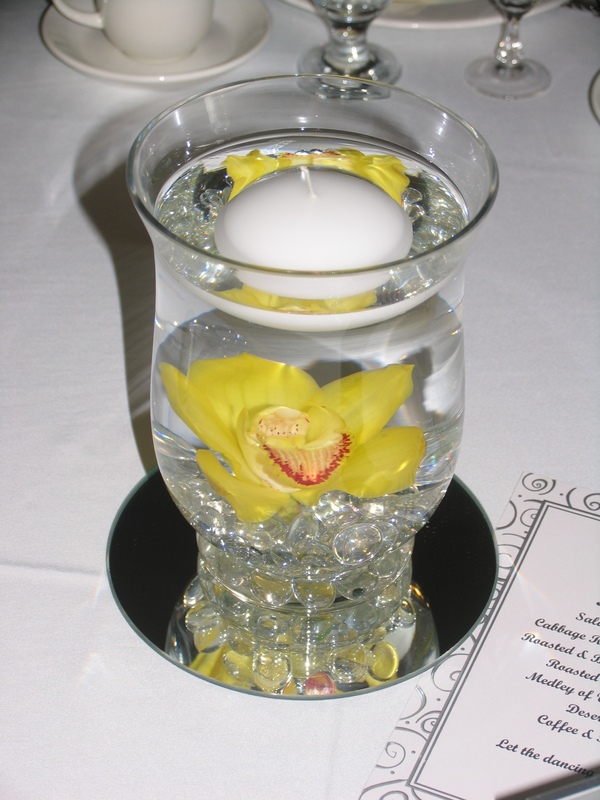 The bride did her own centerpieces but we provided the large yellow orchids. This was one of our July 9th Weddings. Located at Chateau Des Charmes in Niagara On The Lake. 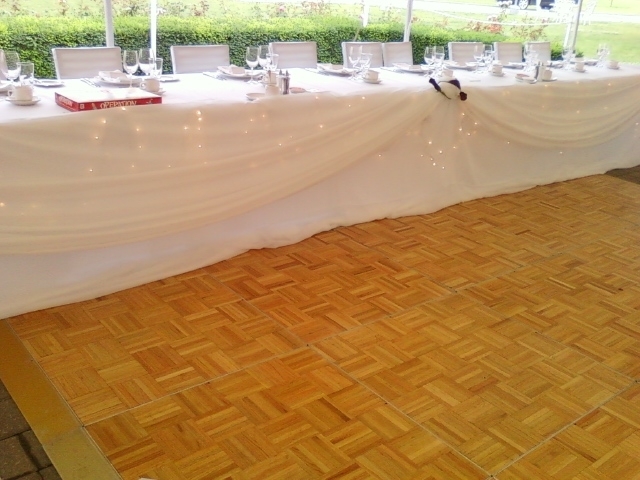 This is Set The Mood Decor’s classic head table draping is sheer white line with icicle lights. 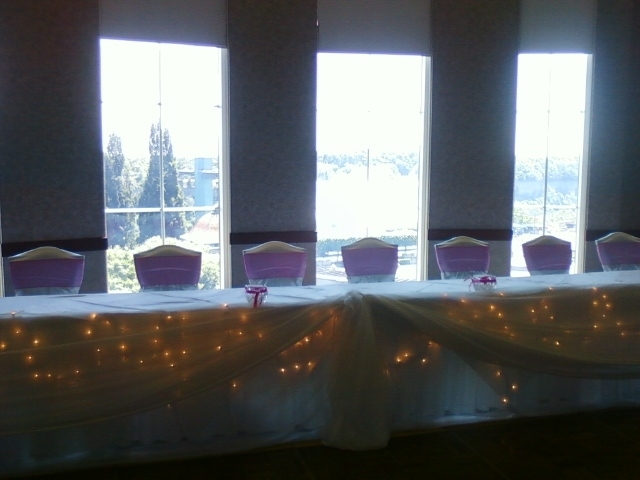 We also added our White Satin Pillowcase Style Chair Covers to give the full wedding effect. 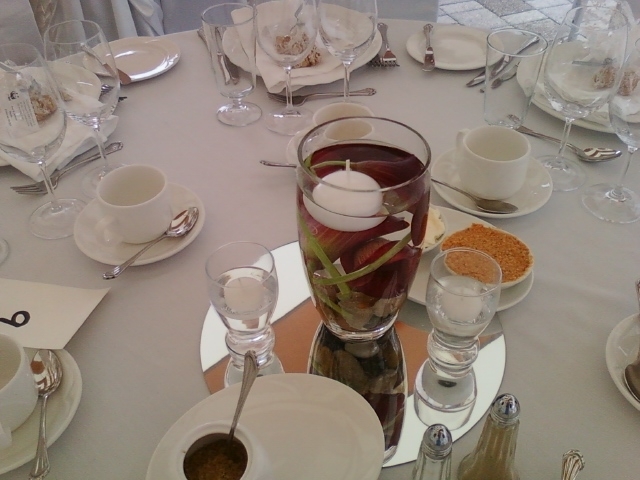 We also provided a centerpiece which included 3 Burgundy Mini Calla Lilies, the large round mirror just finished the look. 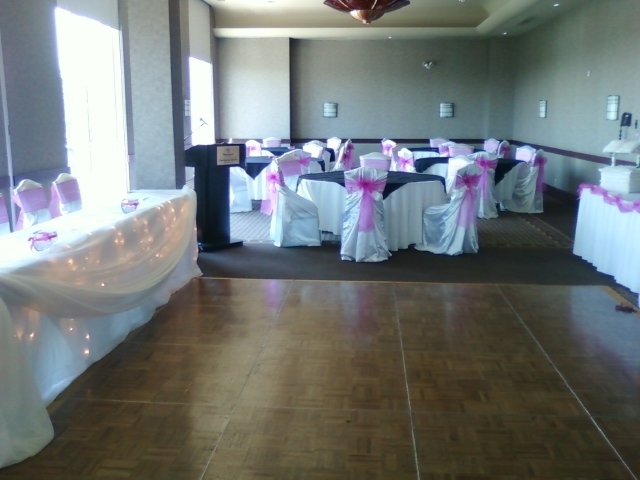 This was Kirsten and Edwards wedding at the Sheraton Fallsview in Niagara Falls. They had a gorgeous falls view!!!!! 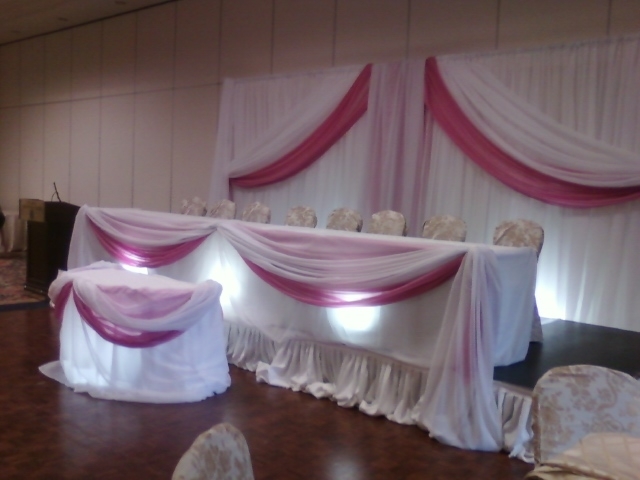 The chairs at this venue required our larger pillowcase style but the bride really wanted to incorporate her theme color of pink – so we did a hot pink organza sash over top. 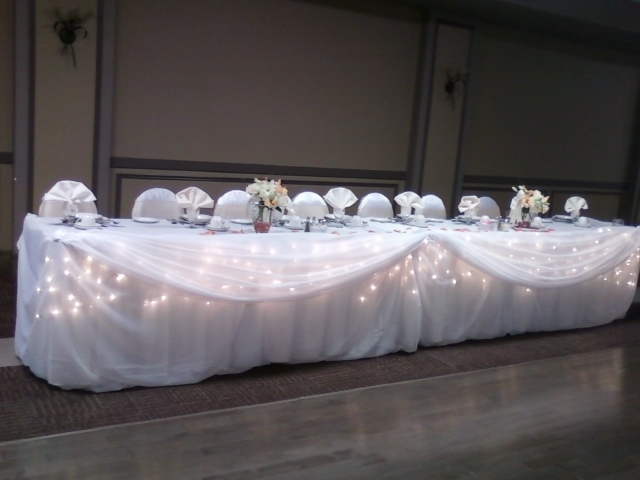 This head table was once again our icicle light sheer white head table, with a traditional look. 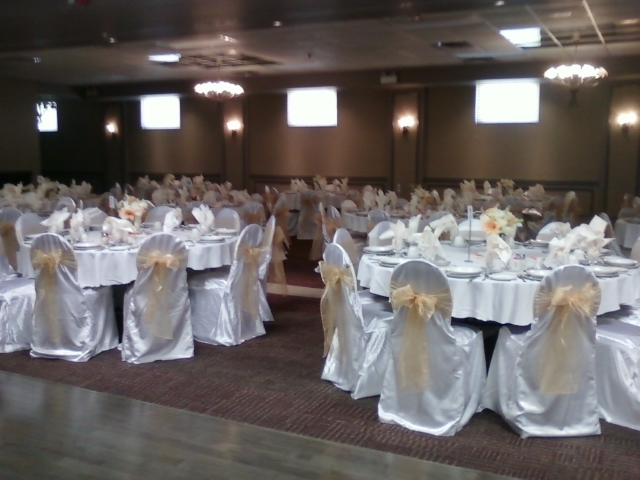 This wedding was located at Club Capri in Thorold. 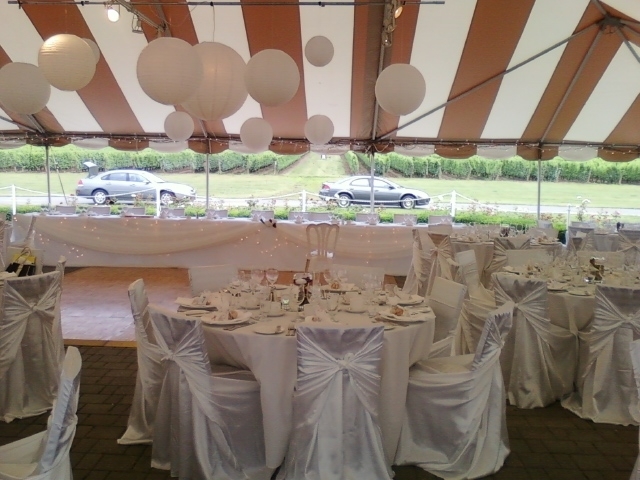 Once again we did our classic icicle lights sheer white head table. 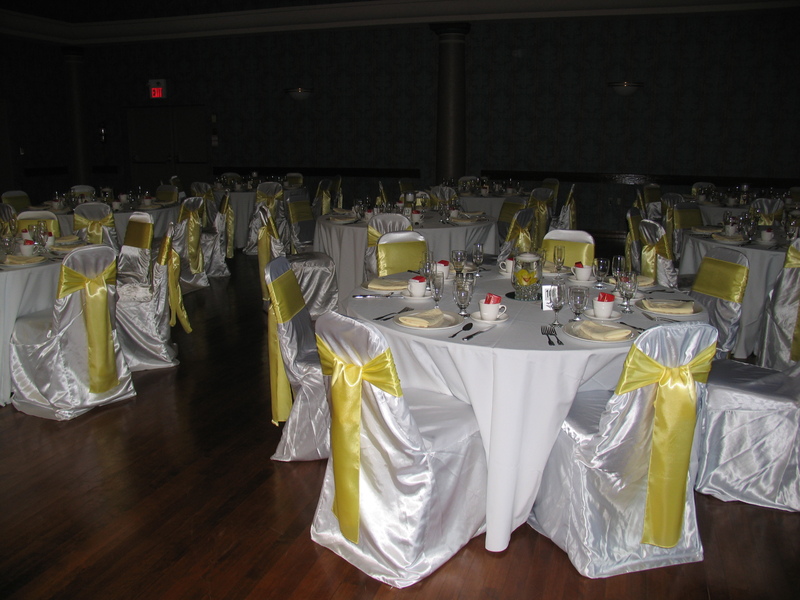 These are our white satin banquet style chair covers with a golf sash added to bring in some color.